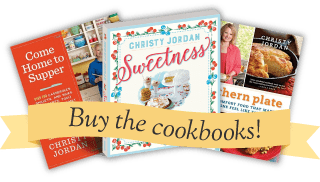 Today I’m beginning a series of recipes I’ll be bringing you over the next several weeks that will save you time, money, and help you get supper on the table after a busy day. The first recipe is my Freezer Chicken Fried Rice. I make a double recipe of this and freeze half of the recipe using my FoodSaver® FM5000 Series Food Preservation System. 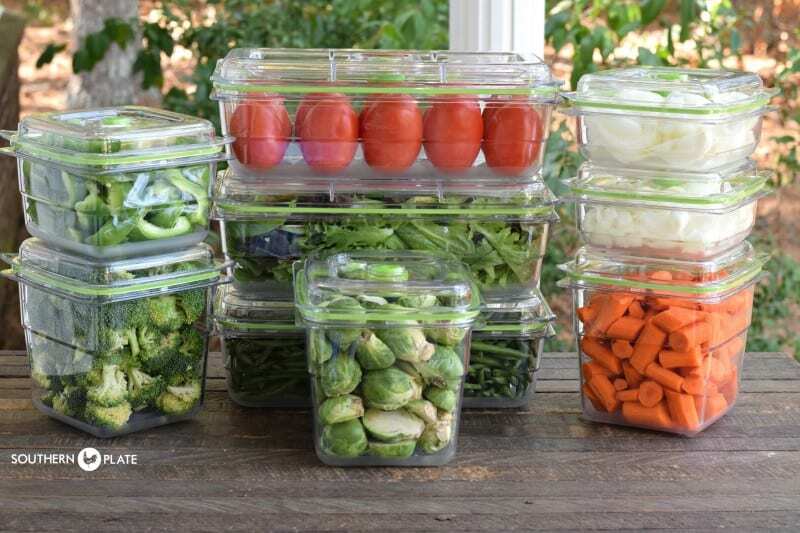 In total, this makes 8 servings at a cost of just $1.33 per servings because I am able to purchase everything in bulk and store the meal longer thanks to my FoodSaver® Food Preservation System. . In one cooking effort, I have two complete meals my family loves, one for now and one to make supper a breeze at the end of a busy day later on. But let’s begin at the beginning because I want to show you my grocery shopping trip. I shopped for two weeks worth of groceries – including fresh veggies and salad fixings, and spent right at $300 for everything I need for 14 complete meals. 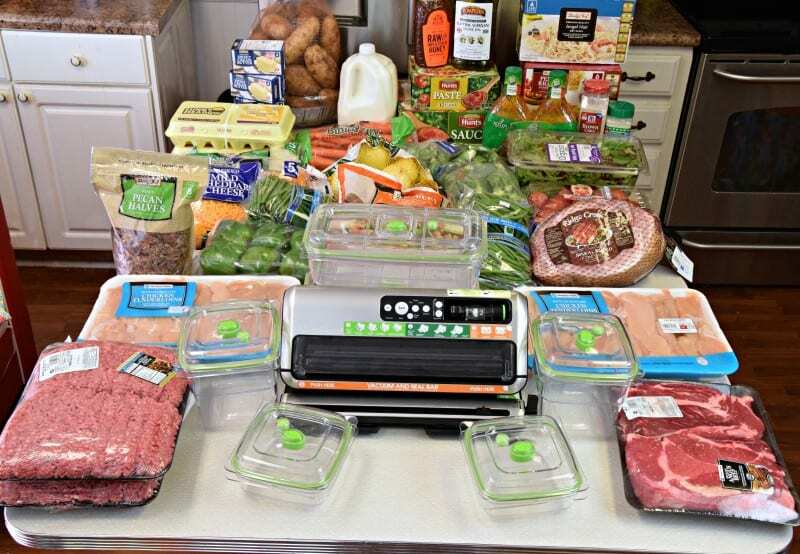 I then price matched all of that at a traditional grocery store and found that I saved over $200 by buying in bulk – which coincidentally would cover the cost of a FoodSaver® Food Preservation System (hint, hint). This is my haul for these posts. All of my meat and vegetables, including salad greens, purchased ahead of time for two weeks. The beauty of this is that my FoodSaver® Food Preservation System is going to keep all of this as fresh as I need it to be for those two weeks and beyond, even the salad, using just the FoodSaver® FM5000 Series Food Preservation System, FoodSaver ® bags, and FoodSaver® Fresh Containers(they vacuum seal, too). Over the next several weeks I will bring you all of the recipes I made (including my shopping list) for fourteen meals, complete with sides. Here are my veggies. Now, normally you wouldn’t want to buy fresh veggies that far in advance but these containers vacuum seal to keep them fresh. Since I have been using these, I’ve had salad greens be fresh and crunchy (no wilt at all) over two weeks after I purchased them. This is my new FoodSaver® FM5000 Series Food Preservation System, which has a few notable improvements over my older model. The main thing I love about it is a separate sealer for the bags. Now, instead of having to make my bag and use the main sealer to seal them, there is a bag making station at the very bottom that cuts and seals right there. This saves steps and time. You can purchase this machine for $149.00 – $199.00 at most department stores such as Wal Mart, Costco, Sam’s, Target, Amazon, or online at FoodSaver.com. 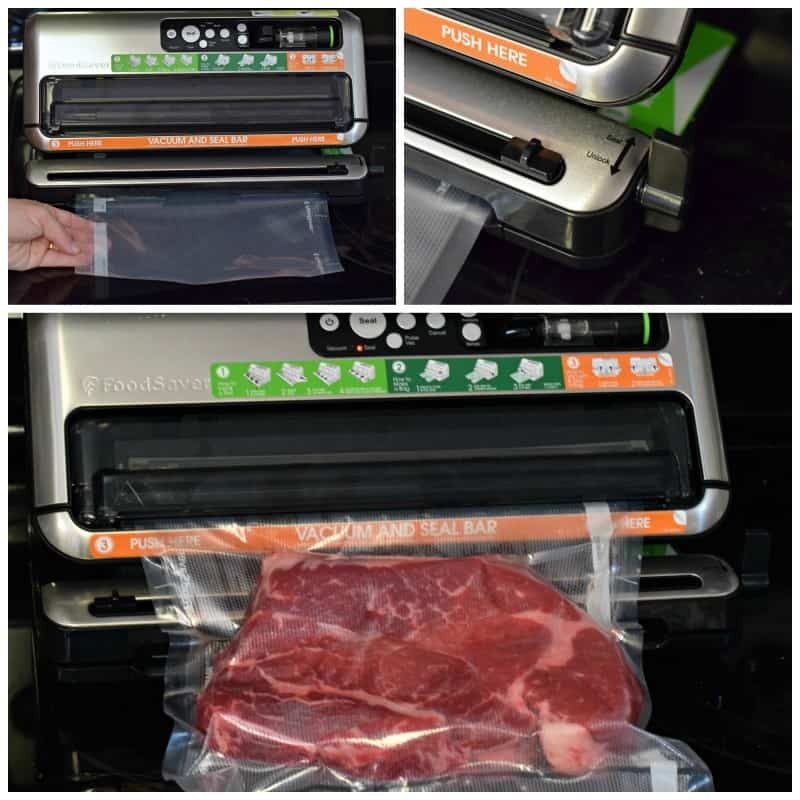 I seal all of my meat using the FoodSaver® bags. Family size portions are vacuum sealed and placed in the fridge (for use within the next few days) or freezer (for use the following week). The beauty of vacuum sealing meats in FoodSaver®bags is that it drastically extends the life of my meats. 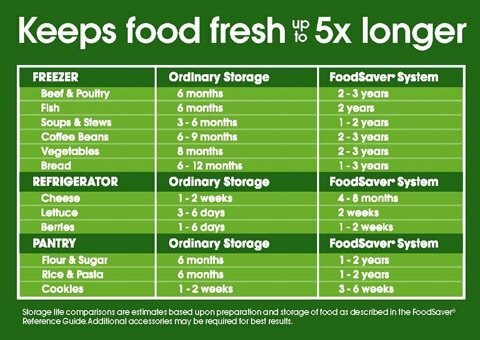 I saw this first hand and became a HUGE believer in FoodSaver® a few years back when I was cleaning out my freezer. The meats that I had frozen in regular zipper seal freezer bags were covered in ice crystals and freezer burn. The meats that I had taken the time to freeze in FoodSaver® bags were still perfectly sealed, no freezer burn, no ice crystals, good as the day I put them in. FoodSaver® Bags have saved me hundreds upon hundreds of dollars in meat alone. The way that I typically stock my freezer is when it starts getting low, I choose a week and for a few days I start going to the grocery store or warehouse club as soon as they open and buying whatever meats I use that they have marked down. I bring those home and immediately vacuum seal them and put them in my freezer. After a week of doing this I have a fully stocked freezer with a variety of all types of meat. I know that I am safe buying that meat and that it will be good however long it takes me to get to it because of the security of having it vacuum sealed. To make my Freezer Chicken Fried Rice, I begin by sautéing the chicken in a little bit of butter until it is no longer pink in the center. Add in chopped onion (it’s already chopped and in my FoodSaver® Fresh Container in the fridge) and cook until onion is tender. Add all other veggies, sauces, and seasonings, and cook until veggies are cooked through. Push chicken mixture over to one side of the pan and add eggs. Cook them, stirring from time to time, until just scrambled. Stir entire mixture together and stir in cooked brown rice. Salt and pepper to taste. This is enough for two complete meals for a family of four at just $1.33 per serving! 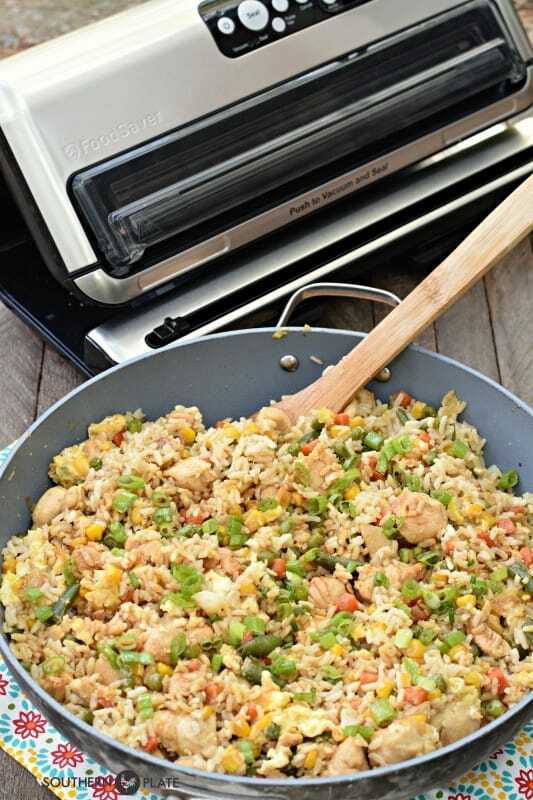 Take half of the Chicken Fried Rice and seal in a FoodSaver® bag. Label and freeze until ready to use. To reheat, remove from freezer and cut one corner of the bag to vent and microwave on high for 6-8 minutes, or until heated through. Allow to sit for one minute before removing from bag. 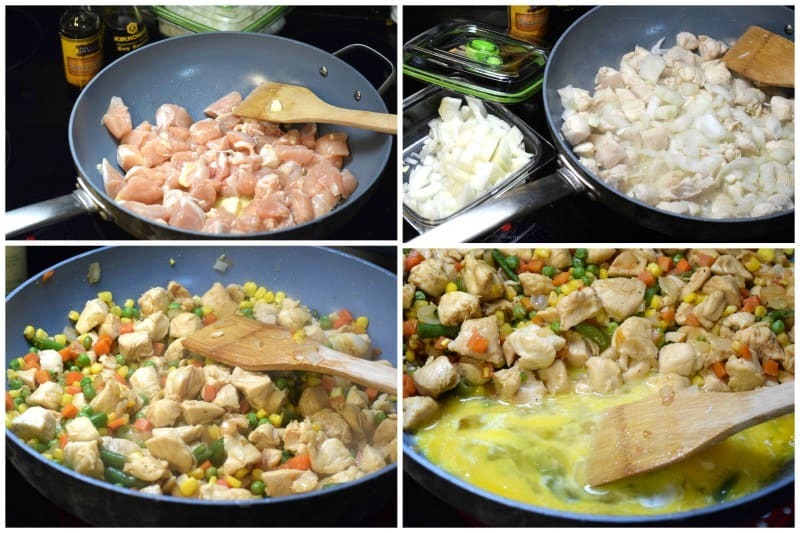 In large wok style skillet, saute chicken in butter over medium high heat until chicken is no longer pink in the center. Add chopped onion and cook, stirring often, until onion is tender. Add in all other ingredients except rice. Continue cooking over medium high heat, stirring often, until vegetables are cooked through. Push chicken mixture over to one side of the skillet and add eggs to empty side. Scramble a bit with a spoon and cook until set, stirring as needed. Stir cooked eggs into chicken mixture and then stir in rice. Salt and pepper to taste. Serve hot. Disclaimer: This post was graciously sponsored by FoodSaver®. All opinions contained herein are my own. Special thanks to them for helping me bring you this budget and freezer friendly meal! This looks so yummy! I love cook once, eat twice recipes. Thanks for the info on the FoodSaver…had no idea you could store food that long if it was vacuum sealed. As part of this series, could you make a little video demonstrating how to use the FoodSaver? 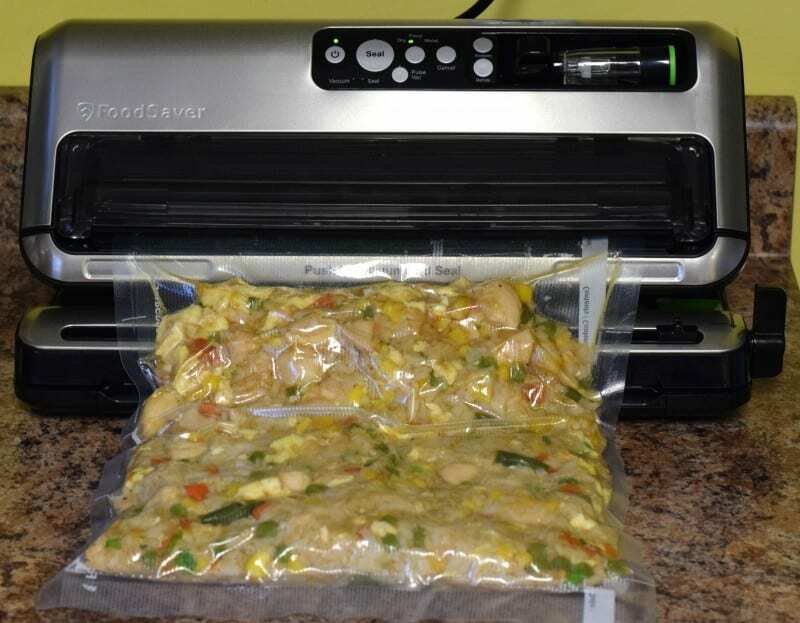 I have used a vacuum sealer for many years. This is just an advertisement for Food Saver(R) there are a lot of different brands out there. My last Food Saver (R) was replaced by one from ZipLock and I have been using it for several years. I also use generic brand bagging material that meats all the FDA etc, etc, in 100 foot rolls, 8 Inch and 12 inch from Amazon for a WHOLE LOT less that the branded stuff. Sorry, that’s the was the cookie crumbles. I love cooking once for two or more meals. I have tried 2 different models of the Food Saver, and neither would hold a seal, no matter what I would do to them. Spent loads of money and it wouldn’t work. Even replaced seals, and still would not work properly. Wonder if they have improved it over the years? Been about 5 since I purchased my last one. Don’t have a place on my counter to designate for a sealer, so would have to be drug out each time I would want to use it. I have been freezing foods for extra meals for almost 40 years now, and never had any problems with freezer burn using regular freezer bags. Maybe I have been fortunate. Thanks for your site, really enjoy your recipes and stories. Don’t know what you are doing wrong, but I have found that you have to extra careful when you fit the bag into the slot and not go too far. I have also found that when you make your own bags it is best to double seal the bottom and the top. Mainly because I have found that with a single seal the seal can look good and still leak when put in the freezer. When double sealing I have never found one to leak. I have also found that when sealing multiple bags (8 or more) it is best to do around 4 or 5 and then let it cool for awhile because it doesn’t work well after 4 or 5 sealings. You can get in touch with me at zephyr@gulf.net if you have a desire to chat about this thing. Hopefully this will help you, I have been using the food saver for close to 20 years. Thank you for posting this! I am having surgery next month and I want to prep some easy meals that my husband can handle ( he does not cook). This will be a great one to put back. I will be praying everything goes well and for you to have a speedy recovery!!! my question is …what did you do with your old sealer system? I would love to buy a used one to try. If she is anything like me, she used it till it died. The Foodsaver is dead, long live the Foodsaver. My husband works for a meat packing company. We get all kinds of cheap meat. The problem is they come home in large pieces, like a 35-pound chunk of chuck or a 12-pound pork loin. So we do a lot of meat processing at home, we do our own ground too. We have used a FoodSaver for years. I swear by them. Even on the off chance, we bring a meat home from the store, we repack in a Foodsaver bag. Meat prices are too high to risk a chance of getting freezer burn. We also recently bought a freezer with a fast freeze option to help reduce the formation of ice crystals. Believe it or not, I have on my stove refried rice, using brown and white rice, pineapple, peas, and a couple packets of sweet/sour sauce. I know it’s loaded with carbs, no added sugars, a tad bit of soy. What is missing is chicken, so I decided to make something with chicken breast, saving some for this fried rice. Thanks for your post!!! You sure do motivate me to keep trying! BLESSINGS to you and your family!!!! Blessings to you and yours Sue!! Time to invest in a Food Saver! Going to have to save my pennies!!! I an Italian, from NY-grew up cooking for a crowd. Now years later, I have become a widow, and learning how to be a family of 1. I love to cook, I strive to share my meals with those much older than me in my neighborhood. I love to make soup, a bread, and a dessert and use my walker to deliver. I am the neighborhood “Meals on Wheels”. Living in MN (2000 miles away from home) we do hunker down in the winter months (6mos winter, 2 mos spring summer, 4 months trying to figure out what season it is)( I love feeding the birds too!!) Military life taught me how to combine and share1 ( my late husband served in the AF for 20 years and 5 minutes) Thank you again for inspiring me. Can I suggest how to cook for one? I love you Sue, you are always doing so much to bless and encourage others!!! 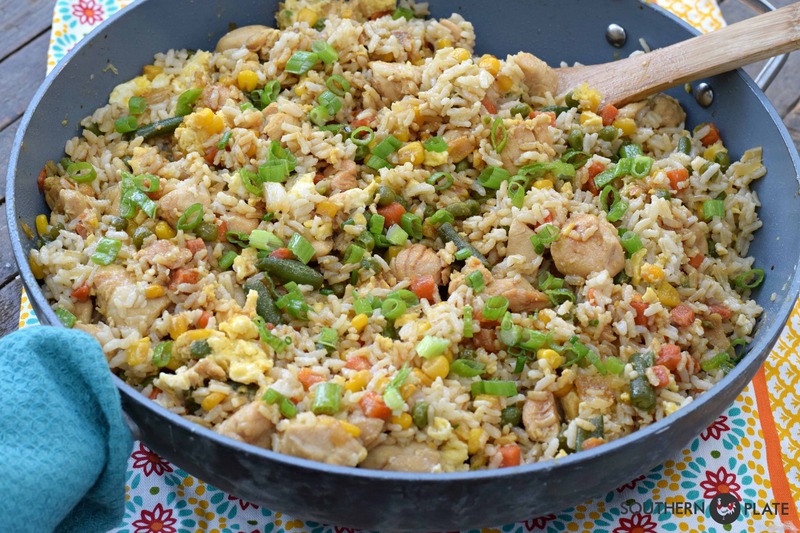 I’m always making fried rice at home using this recipe. I really like how you make the effort to help us eat better and save money when shopping for groceries. And thanks for the ways to preserve foods, too. What a phenomenal post Christy! Thanks for taking time to share all that info. I really like using the cauliflower rice instead of rice in my chicken fried rice. MMMM! God bless you dear for all you do to teach and encourage us in the Word. You are an angel on earth for sure.